Our member spotlight this quarter features Jim Sebasitian of Kennesaw, Georgia. Jim joined the Allante' club in 2009. There is another side to Jim Sebastian, other than the Club’s Secretary & Treasurer. Jim is also a well-respected Councilman for the City of Kennesaw. He is a busy, busy man as evidenced by the published calendar for Kennesaw. Jim has been very involved in the many important duties of a Councilman and takes his responsibility very seriously and is a fine example of a civic-minded citizen. Sandy Harzak stands with him, supporting his many events and activities. Together they do a great job representing the City of Kennesaw. In addition to his responsibilities to the City of Kennesaw; our club has the added advantage of his talent, effort and countless hours ensuring we meet all of the responsibilities of our non-profit club in reporting of our taxes and numerous other tasks. We are grateful and lucky to have such a committed member. 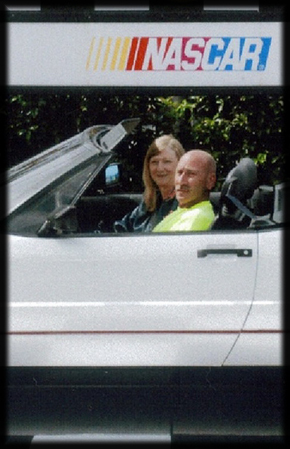 The Allante’ Atlanta Car Club is proud of Jim and Sandy. And we are especially happy when they are able to join us for fun and relaxation on a cruise or social event.